The event is sponsored by UMass Memorial Health Care and Worcester Railers HC. According to the Telegram & Gazette article, general admission tickets are available for $50 each. The doors will open at 6:00 p.m. and the event will start at 6:30 p.m.
Pedro Martinez is a former MLB pitcher who played for the Los Angeles Dodgers from 1992–1993, the Montreal Expos from 1994–1997, the Boston Red Sox from 1998–2004, the New York Mets from 2005–2008 and the Philadelphia Phillies in 2009. Martinez is a World Series champion for 2004 plus he is an eight-time All-Star for 1996–2000, 2002, 2005 and 2006. Martinez is a three-time Cy Young Award winner for 1997, 1999 and 2000 plus he is the MLB wins leader plus Triple Crown winner for 1999. Martinez also is a three-time American League strikeout leader for 1999, 2000 and 2002 plus five-time MLB ERA leader for 1997, 1999, 2000, 2002 and 2003. Pedro Martinez was inducted into the Baseball Hall of Fame in 2015 plus his number 45 was retired by the Boston Red Sox in 2015. Sports Speakers 360 is a booking agent for pro athletes. 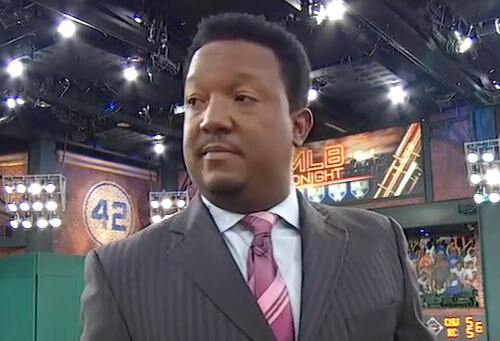 If you would like to book Pedro Martinez for a speaking engagement, appearance or endorsement, contact a Pedro Martinez booking agent for fees at 1.855.303.5450.